# of Pages: 298 p.
Stevie and Susan Carol are back in this sequel to The Final Shot: A Final Four Mystery and Vanishing Act. At the beginning of this book, they have been working together on a sports show designed for kids, but Stevie gets fired when a popular singer becomes available. Stevie rebounds by getting invited to the Super Bowl as a reporter for a popular newspaper. Things become a little crazy when Susan Carol inadvertently learns that some of the drug tests were changed before the game. They decide to investigate and find that indeed several players should be ineligible to play in the big game. Finding this information puts them at great risk to both their physical well-being and their careers. They underestimated the amount of power the people who covered this up have and wonder if they will ever be taken seriously as reporters again. Stevie and Susan Carol’s stories continue to get more interesting and well developed. This one is the most exciting and suspenseful yet and still packs in a lot of sports action. They do have a lot of lucky breaks in their methods of investigating, but they are also young teenagers who need to rely on many people coming to their rescue in order to get the story. Since the first book these two have gained great fame and admiration from many people. It’s nice that no one feels these two should not be allowed to have the access and opportunities that are handed to them despite their lack of qualifications, but in such a competitive environment it is a little hard to believe. 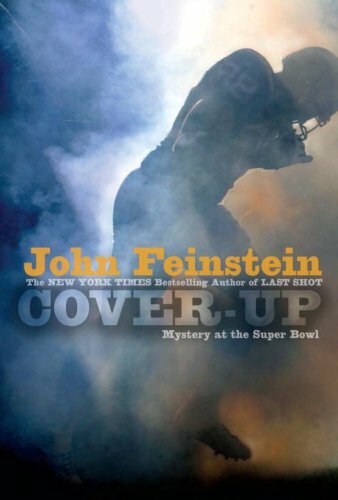 It was a fast paced and well-written mystery that sports fans will enjoy. Great book everyone should read it!!!!!!! I get some, but not a lot so I just delete them as I go. It can be really annoying, though. Sorry I couldn’t be more help.